No matter what time of the year it is there is always time to evaluate those fitness goals. Do you think about getting back in shape? Maybe eating a little healthier? Dads tend to carry a lot of weight on our shoulders but is it the healthy kind? No matter your answer today is a great day to start thinking about getting active and working out. We want to make sure we do everything we can to be around for our family. 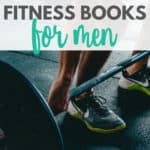 Here are the Top 10 Fitness Books For Men that we found in our research and use. Read through the list, you might just find what you’ve been looking for to help you get into shape. There are Apps that can help with health and working out we cover a few in our Must-Have Apps for Dads. 1. 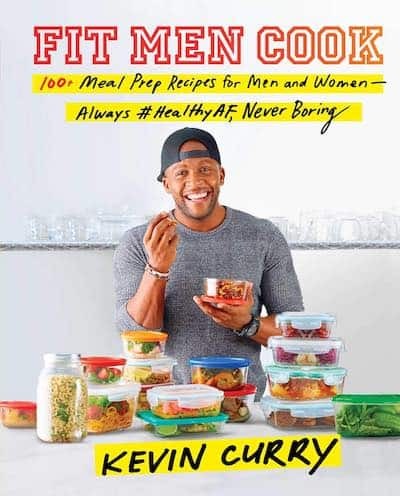 Fit Men Cook: 100+ Meal Prep Recipes For Men And Women by Kevin Curry is a great start to any healthy journey. Learning what to put in your body makes a huge difference and helps keep you on your fitness track. This book is packed full of over 100 meal prep recipes from breakfast, to lunch, and dinner. This isn’t just another cookbook, but a game changer. Healthy food doesn’t have to taste bad and Fit Men Cook will help you keep those amazing flavors while helping you keep that waistline trimmed. 2. 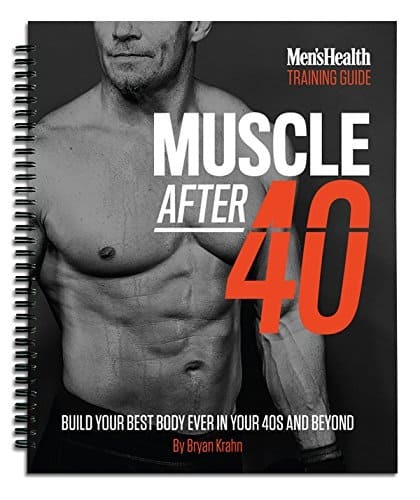 Muscle After 40: Build Your Best Body ever in Your 40s and Beyond is a great guide that’s spiral bound and easy to toss in your bag for the gym. It is a 12-week workout plan designed to help you master bodybuilding techniques, challenge both your upper and lower body, and help you build endurance all at the same time! Muscle After 40 is going to be your answer to helping you build not only muscles but your confidence as well. 3. 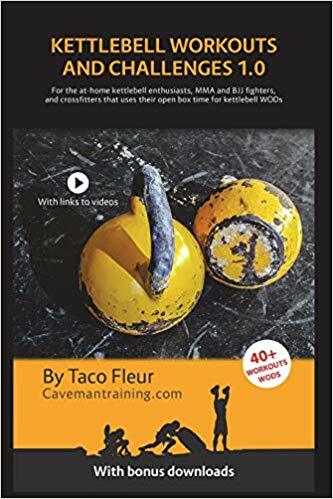 Kettlebell Workouts and Challenges 1.0 is perfect for the dad who just does not have to time to go to the gym. Yes fitness is important and so is your family, so why not do both? Kettlebell Workouts and Challenges 1.0 meets you right where you are whether you are at home or in the office. There are over 40 workouts starting with beginners and some include videos! Grab Kettlebell Workouts and Challenges 1.0 today! 4. 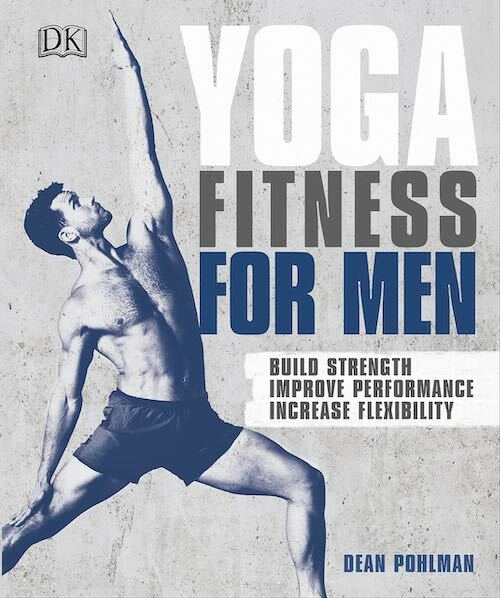 Yoga Fitness For Men: Build Strength, Improve Performance, and Increase Flexibility gives you a different route for fitness. This book has over 25 yoga workouts and 50 body positions to help you stay mobile and flexible. Being able to stretch and strengthen with yoga will help you better in the gym, in competitions, and relieve aches and pains. Yoga Fitness For Men will help you become stronger with easy to follow steps. Keep reading to find more great books on our list of Top 10 Fitness Books For Men. 5. 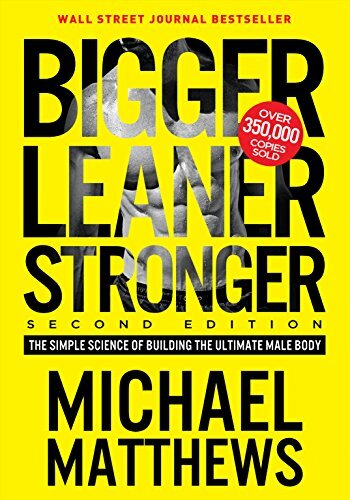 Bigger Leaner Stronger by Michael Matthews talks about the simple science behind building the ultimate male body. We’ve all sat around and wanted a better looking and healthier body. Now is your chance to reach out and get it. How to build muscle, lose fat, and eat healthy without ever feeling like you are on a diet. The three simple laws of muscle growth that allow you to grow stronger. A guide to supplements to add to your workout without breaking the bank. 6. 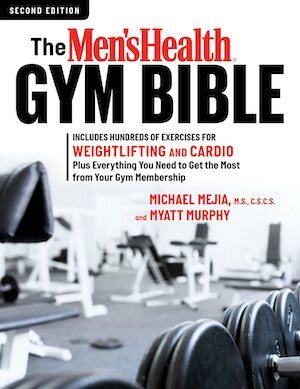 The Men’s Health Gym Bible Men’s Health fitness advisor Michael Mejia and co-author Myatt Murphy will walk you through how to use the gym equipment to optimize your workouts. They will teach you how to use treadmills, free weights, weighted stability balls, and even cardio machines, how could you go wrong? The Men’s Health Gym Bible has tons of workouts for you to be in your best shape. 7. 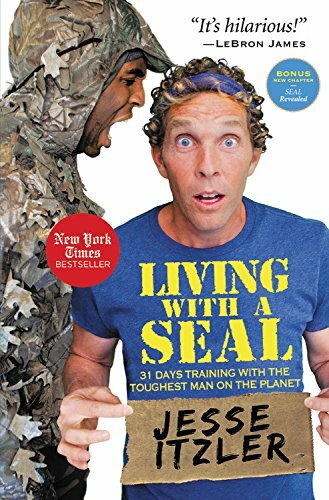 Living with a Seal: 31 Days Training with the Toughest Man on the Planet isn’t your typical fitness and strength training book. Jesse Itzler is an entrepreneur who was getting to be a little on the lazy side. So, he wanted to change up some things and brought in a trained Navy Seal to live with him for a month. Living with a Seal will leave you ready to take on the world. 8. 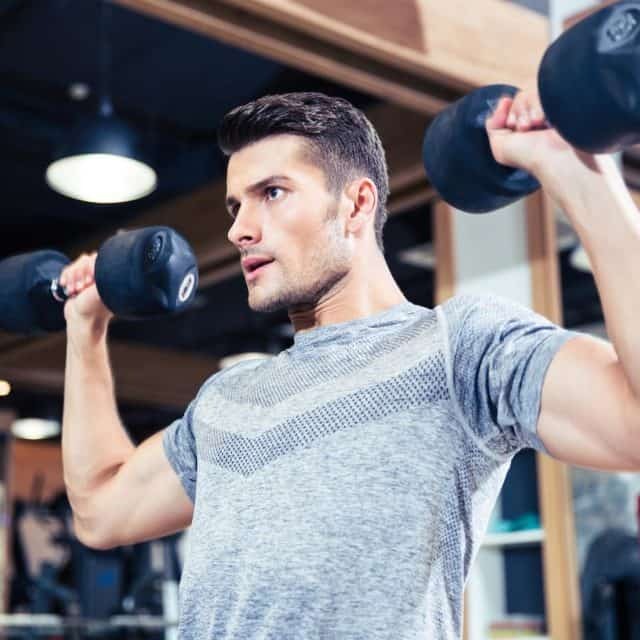 Men’s Health Ultimate Dumbbell Guide will walk you through over 21,000 moves geared towards building your muscles, increasing your strength, and burning fat. Myatt Murphy will walk you through how to use dumbbells to work out your whole body, not just your arms and chest. 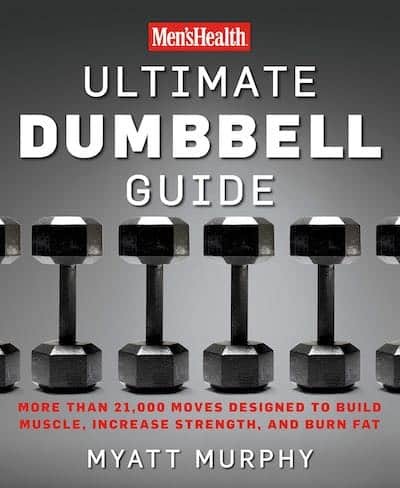 Men’s Health Ultimate Dumbbell Guide is just what you are looking for to work all the muscles at once. 9. In our Top 10 Fitness Books For Men, we want to make sure to cover all ages and experiences. Senior Fitness (for Men Over 60) is just right for the guy who wants to look and feel 10 years younger. Age has nothing to do with physical fitness. This book is totally customizable to any age as we all want to be careful working out. 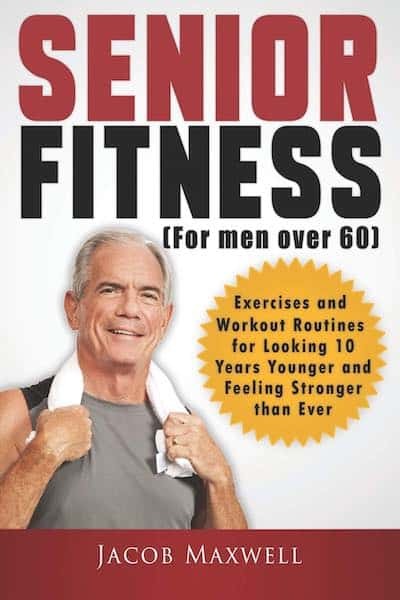 Whether you sit in a chair or head to the gym, Senior Fitness (for Men Over 60), is just the book you’ve been looking for to help you build strength and confidence. 10. 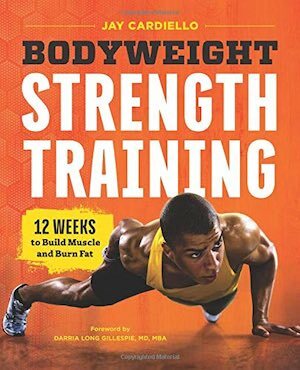 Bodyweight Strength Training: 12 Weeks to Build Muscle and Burn Fat is just the book you’ve been looking for. Forget pricey gyms and expensive machines. All you need to get fit, build muscle, and burn fat is simply your own body. Personal trainer, Jay Cardiello, will walk you through the 12-week plan, step by step. Bodyweight Strength Training: 12 Weeks to Build Muscle and Burn Fat will do the heavy work for you all you have to do is follow it. 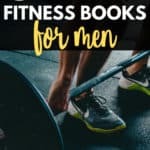 We all want to look and feel our best in all aspects of our life and Top 10 Fitness Books For Men helps you see the options to make that happen. Why not take the plunge and start on those resolutions you’ve been putting off. Right now is the best time for you to take charge of your fitness and be the dad you’ve always wanted to be. In our list of Fitness books, I am sure there is one to fit your needs. Do you have what it takes? Challenge and push yourself today.